After graduating from the Chelsea School of Art and working at Conran, Juliette set up her own business ‘Juliette Byrne‘ in 1988. Her work is renowned and was most notably recognised in both the UK and International Property Awards. She is listed consistently among the top 100 designers in the UK by House and Garden published by Conde Nast. Moreover, she was awarded by The Telegraph the accolade of being one of the ‘Top 20 Interior Designers in Britain’. She is also a member of the British Institute of Interior Design and lectures at The Inchbald School of Design at KLC. Today and more than three decades later she continues to work closely with and inspire a team of designers at her studio in Chelsea, where the office mascot Minty is well known… the family’s Jack Russell. After my graduation I recall spending hours in front of the computer sending out CV’s in the hope of finding a job and moving to London to pursue my career as an interior designer. When I was starting to lose hope and I felt like my dreams were fading away I received a response inviting me to interview for a well renowned London based interior design studio. I couldn’t believe my luck. My interview was a success; I moved to London and spent the following three and a half years working for Juliette Byrne. In that time I learnt so much from Juliette and it’s safe to say I wouldn’t be where I am today if she hadn’t given me that chance. I admired her from the day I walked into her studio and her achievements have been a constant source of inspiration for me. Outside of her typical working day Juliette lives in London with her two daughters, I was lucky enough to have the opportunity to grab a few moments with her. Was there a turning point in your early career that led to you to set up your own studio? I had my first commission when I was still at the Chelsea School of Art. It was a busy time in the 80’s with developers in London. I started work on a project in Eaton Place at 19 years old. Juggling two jobs at once. I worked a second job alongside my part time job at Conrans. 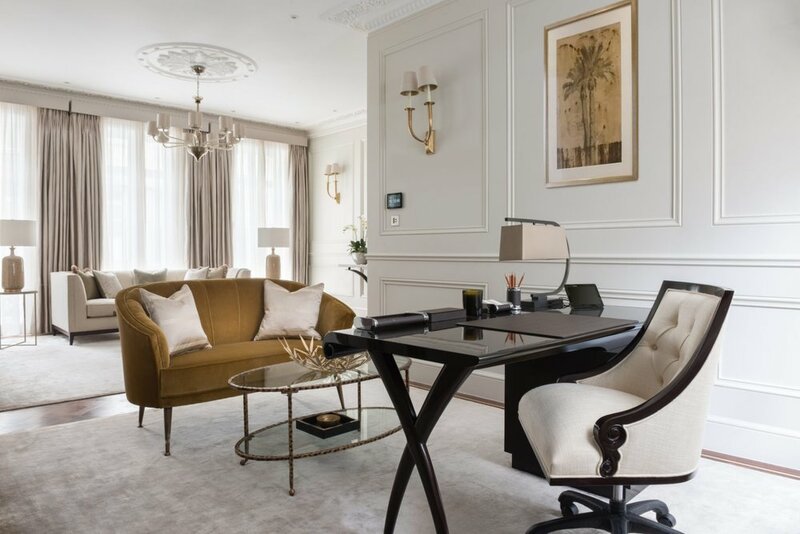 I took another job to cover the cost of the rent on my office in Beauchamp place, Knightsbridge. What surprised you most about yourself? My ability to adapt to clients from such a diverse range of international backgrounds, as well as accommodate clients for an English style. Was there anyone you looked to for inspiration and encouragement? I worked alongside Catherine Pawson on some of her early projects, her style of design and knowledge of fabrics from her training at Colefax has always been inspirational to me. What are the key qualities young women need to have to succeed? To persevere and not to be put off by any setbacks. Always remember that the industry is a small and friendly one, so you need to make sure you support your suppliers. Work on building loyalty with those suppliers, consequently clients will appreciate the quality and service. What drives you to continue with your success today? I simply adore the industry. I thrive on the variety of the projects we work on. We also get to work with all the new products being launched every year, so I continue to be inspired to reach even greater success. Away from business, what makes you happy? I love spending quality time with family and friends. I also have a beloved thoroughbred horse and spending time alone with her is precious. It is a very relaxing time for me away from the office. What is your favourite colour combination? I love strong accent colours such as fuchsia pinks, emerald green is one of my favourite choices at the moment. I mix these colours with a neutral palette to offset them. Back to business, what’s next for Juliette Byrne? We have just won the International Property Awards for best London town house, which we are proud to have achieved. We also look forward to continuing to work on projects which are further afield, such as Jersey and the French Alps. Equally continuing what we do for the residential properties in London and countryside. I cannot believe I am already writing my one year anniversary blog! This year has flown by, and what a year it has been! When I set up my own design business, I never dreamed that in the first year I would run several residential projects, design and install a marketing suite for Savills and grow the team at Muchmore Design. But here we are! Just the other day I was photographing our first marketing suite project and I had to pinch myself a little to make sure it was all real! It has been a hard journey to get where I am but it has all been worth it. It was always my career goal to work for myself, and I knew that one day I would get there. I also wanted to achieve this goal before I turned 30, which I managed to do (just!). In making the decision to work for myself, I was excited to be in a position where I could design and lead how I truly wanted. I have been so passionate about design throughout my life that I relished the chance to create a business and a team of people who cared as much about the work and our clients as I do. My Dad also inspired me to branch out for myself by teaching me the value of hard work. He was able to achieve great success in his career through his work ethic. When I was younger I wanted to be just as successful as he was, and hopefully one day I will be. 1. Make sure the timing is right. I always wanted to setup my own business but I waited until I gained the necessary experience and contacts I needed to make my business successful before I started. There were definitely times in my career that I wanted to sack it all and just go for it (Monday mornings especially! ), but I knew it wasn’t quite the right time. Be patient. The wait is well worth it! 2. Get your business head on. No one likes doing the books. But when you start off you are more than likely going to have to be managing the accounts on your own. Even if you use an accountant to help file your business taxes, you will still need to keep up with the day to day. That means keeping receipts, logging costs, tracking invoices, etc. This can be difficult if you are creative like me, but it is hugely important if you want to run a successful business. 3. Know you margins. You can’t be financially successful if you don’t know how much your time is worth and what you need to bring in each month to stay in the money. So when you are working out what your pricing model is going to be make sure you account for all of your costs. Depending on what industry you are in initially you might have to price lower than your established competitors to break into the market but make sure you don’t go so low that after a while you’re shelling out more than you’re taking in! 4. Grow your network. It’s all about connections; as soon as I went self-employed I told anyone and everyone what I was doing, family, friends, friends of friends, the postman! As soon as you start talking to people you will be surprised by how far your connections go. I gained one of my first big projects this year by reaching out to an old friend and it paid off! Networking is never easy, and can be scary at first if you’ve had little experience in your career but it has massive potential to get you that next job or next key connection. 5. Don’t be afraid to ask for help. Going solo can be daunting, it certainly was for me! But just because it is your own business don’t feel like you are all by yourself. When I first started out I was really hesitant to ask for help because I felt like as it was my own business that I should do everything myself. After having some very stressful days early on I finally asked for help and was glad I did! Unless you are incredibly skilled and experienced, no one person is going to be a master of sales, finance, marketing, design, operations etc. So when you need help in an area you are not experienced in make sure to ask for it! Ask family, friends, online sources, wherever. Draw on other people’s experience to not only learn and grow more yourself but help your business make the right decisions. Looking forward for Muchmore Design my goals are to simply keep growing the business and the team. We recently took on someone working on our commercial development and I am looking to add additional designers. I already have some very exciting/scary meetings lined up for next month which I hope will propel Muchmore Design to the next level, allowing us to really start to compete with the bigger design companies. I see big things ahead and I can’t wait to keep sharing these with you! Every year we are always eager to attend Decorex International and this year was no exception! There were so many exciting new collections and products! 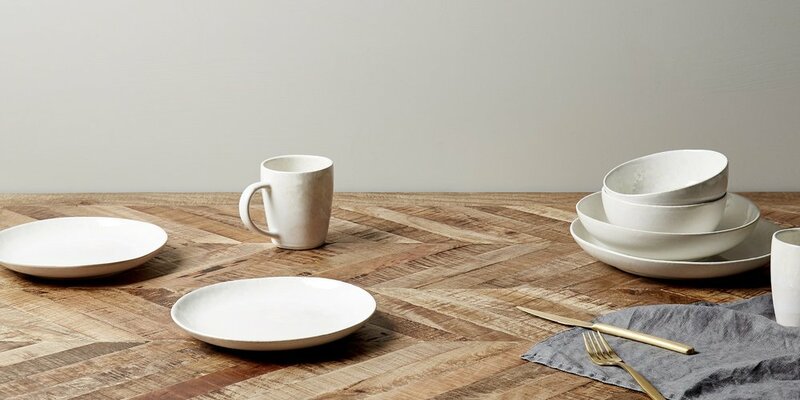 Below we have rounded up our favourite finds from this year’s show. I have never worked with Harris & Harris before but after speaking with them at the show and seeing their products I am sold! I also love that every item purchased from the Harris & Harris collection contributes to the Designed for Life Foundation. This foundation supports those without the basic needs of food, water and shelter. My favourite collection of Harris & Harris is the Azzero lighting range which is their first collaboration with Heathfield & Co. I adore the Art Deco design with the brass and Terrazzo finishes. I met Louis through a friend at the show. He creates stunning sculptural lamps and furniture using raw materials with contrasting colour palettes. I always think with interiors it is important to have that one key piece in a room that’s a piece of artwork in of itself and if you are looking for this, then Louis is your man. Collinet are a French manufacturer of chairs and hotel furniture who have been in business since 1887 so they know what they are doing! In particular I really like the Kan collection and especially the armchair from that range. I love the wicker back and contrasting seat cushion. This little gem is definitely on my wish list! Finally we have the fabulous Pinch Design. One of my favourite suppliers! Not only is everything made in the UK but everything is always stunning! I first used a Pinch piece for an apartment I designed in 2016 and I used the Moreau sofa. I instantly fell in love with it’s curvy frame and sumptuous cushions and from then on I have been a massive Pinch fan! This year at Decorex they launched their Moreau bed. It is essentially the bed version of the sofa so obviously I love it! After that glorious hot bank holiday I am very much ready for summer, so what better way to get in the mood than to show you some of the colour palettes that I am loving right now! A key stage at the begining of any project is to pin down the colour scheme and I find inspiration from everything around me and I love playing around with different combinations. I think its really important to always keep looking for new ideas and inspiration and to get out of your home or office and see the world, you never know what you might find. Although I do still love a simplistic neutral palette I do however like to mix it up now and again. After all how dull would this world be without colour! Career-wise I have only ever had two ambitions. The first was to become an interior designer and the second was to run my own interior design studio by the time I reached 30. The first target seemed to arrive at a fairly comfortable pace whereas the second arrived frighteningly fast! However I can happily say last year I took the plunge and set up Muchmore Design and I have never looked back! 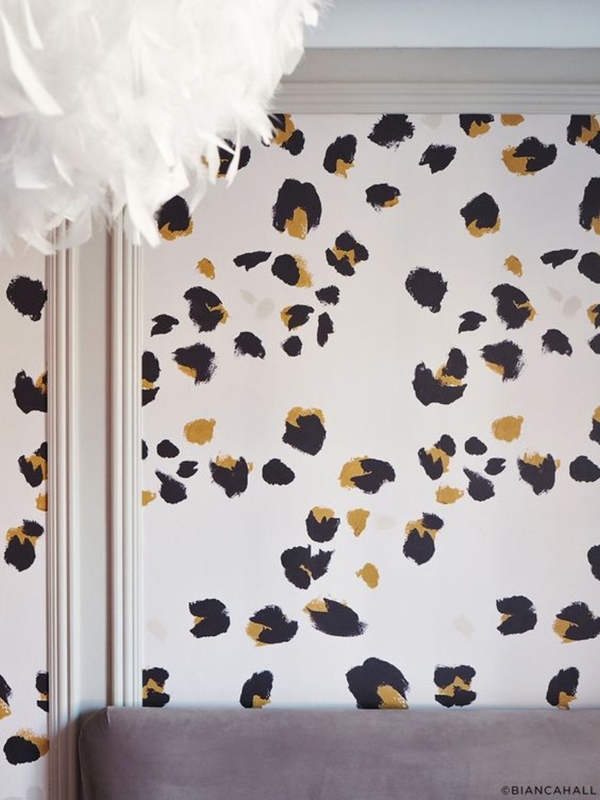 I am always looking for inspiration in the industry and where better to look than other female designers already making huge strides in the industry, and for me Sophie Ashby is one interior designer doing just that. 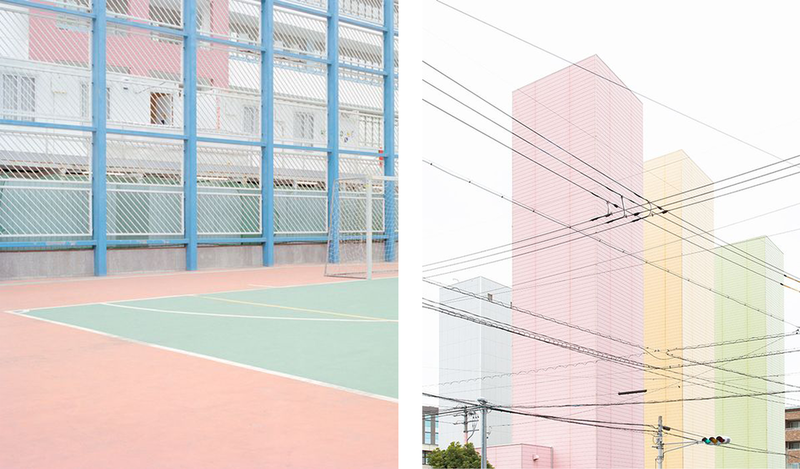 Sophie Ashby grew up in Cape Town, South Africa. With an entrepreneurial mother and a family constantly on the move she experienced life in the city of Cape Town before moving to the valleys of South Africa. The family then moved to England and a further move to Devon allowed Sophie to experience the unique and bohemian lifestyle of both the coastal town of Totnes and its occupants. She gained a BA in History of Arts and became a Young Patron of the Royal Academy of Arts. Art has always been her passion, and her parents’ passion for developing and selling properties exposed her not only to art and design but differing eras of art, design and architecture. A career in interior design would allow her to indulge in both her passion for art and property. Sophie studied and honed her skills in New York, exposing her to yet more diversification of art, culture, design and architecture before returning to the UK. She started her career working within the industry for a well-respected and established interior design studio where she learned to appreciate antiques and their place in design. Her next step was to work for a ‘new kid on the block’ agency which offered her the opportunity to take creative control of and run her own projects. Sophie was soon ready to take her plunge and she set up Studio Ashby. For her it was a great career decision, Sophie Ashby now has a very successful company including a new studio in Notting Hill, a growing team of twelve and the respect of the interior design industry. Apart from our shared ages we also share a similar approach to style. Like Sophie I too like to combine masculine influences alongside a feminine palette. I’m seduced by the control and symmetry asserted over the overall design through the use of clean, sharp masculine lines and then constantly amazed at how the introduction of femininity through colour and texture, brings its own subtle yet equally powerful influence to any scheme. When I look at Sophie’s designs, I see a woman not afraid to say, ‘This is how I think it should look not because it’s on trend but because it feels right to me.’ To design any space with integrity you have to be true to your own style and design beliefs and Sophie has always done that. So, what makes Sophie’s interior design so distinctive and has led other established designers to take inspiration from it? For me it has to be the influences of not only her growing up in so many diverse cultures and living in so many different types of properties, but also because of her mother who always had a studio of her own and went back to university at 50 to study sculpture. Sophie has always been surrounded by art, culture, differing lifestyles and the mindset that anything can be achieved. A great example in which these influences are evident is one of her more recent projects, the Colyer Covent Garden Apartment. The reception space combines a muted palette with a strong mix of pattern and texture. 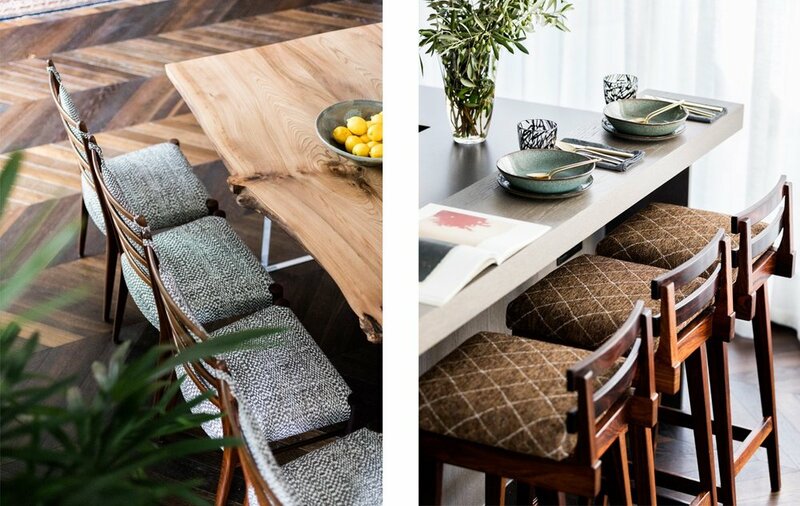 The layers of pattern could so easily jostle with each other and make the space feel cluttered but there is such confidence in their choice that they work together to bring cohesion to the overall design. A key element to Sophie’s individual style is to mix the old with the new and this is clearly illustrated by her use of the modern tree print and geometric artwork paired with the antique walnut bedsides which sit effortlessly alongside the retro mustard chair. The early influences of Sophie’s interior design career led her to dislike anything that is reproduced, copied or faked and she instead loves to include and highlight the natural beauty, character and age of antiques into her schemes. I am particularly drawn to her use of colours in this bedroom and how she has avoided the soft blue tones from appearing cold by adding in the warm mustard colouring of the chair. I think her successful use of colours is a vital aspect of her design and this is very evident in the Soho Penthouse Apartment. I’m going to be very brave here and say I am not a great fan of the artwork but I’m sure should Sophie be reading this she may disagree! The modern Gubi desk in the same tone as the paint colour is in such subtle contrast that it needs the black frame to make it come alive and it does. Again, Sophie has introduced her ‘trademark’ antique bedside to bring in the eclectic element, always a key element of her designs. Unlike the previously mentioned artwork, I absolutely love the green paint colour used on the walls and how Sophie has set against it the gorgeously upholstered berry coloured chaise. I believe the choice of colour used in any space is the key element to getting it right. It has to be used in the right amount and in the right areas and this allows the designer to introduce key pieces of furniture in more dominant colours or texture, something I love to achieve in my own projects. Peacock fabrics are very fashionable and so it’s not surprising to see them included in Sophie’s portfolio. I, however, have only ever used it on a small scale such as a cushion or small chair for example. Sophie has taken it a step further and used it on an entire headboard. It’s brave and hats off to Sophie, it works so well here. The blue colour in the fabric has been pulled together by the blue colouring of the throw, the artwork and headboard straps and piping. You’ll have noticed by now Sophie’s love of antique pieces and this is evident again in her choice of bedside tables…..for me, maybe a little too orange? However the bedside table does pull out the orange tone of the peacock feathers, so it works as part of the overall scheme. Sophie is living my dream and that gives me hope that I too can achieve my goal of running my own company. Looking at Sophie’s rise to success and the speed at which she has achieved it challenged my previously held view that I needed to bide my time in the industry before doing it alone. She has proven to me that lack of age and years of experience don’t have to be barriers to taking on the industry when equipped with your own ideas and style. I choose to write about Sophie Ashby because she is a young and successful woman who I have great respect for as she is making a career from her passion and she’s doing it her way! I have to say I am a big fan of Swoon Editions I have used them for a number of projects and have always been very happy with the quality of their products. They have such a wide range of affordable stylish pieces and as they change their stock so frequently, it means they can always keep up with the latest trends which as we know are ever changing. So I spent my morning searching their website and I have hand picked 5 of my favourite pieces from them but be quick as they wont stick around long! Anyone that knows me will understand my love of mustard, I am of course referring to the colour rather than the condiment, although I am partial to a mustard dressing. Softer on the eye than bright yellow but just as warm, it works in all sorts of interior spaces. 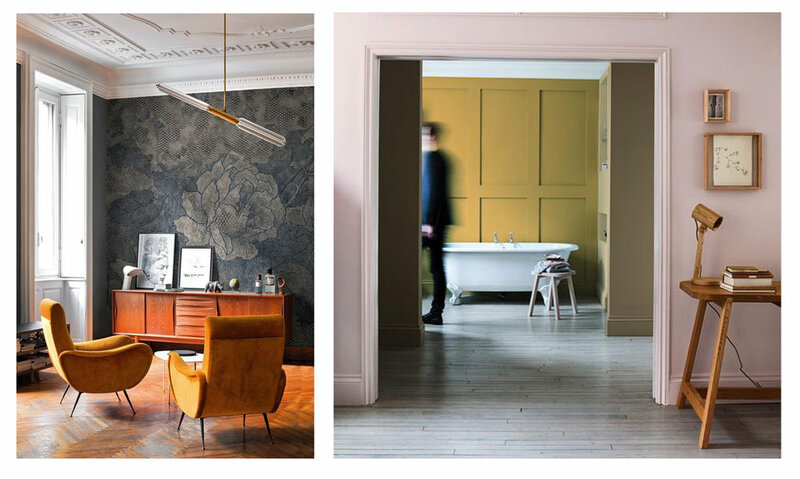 I love mixing my other favourite colour grey with a strong rich mustard to give a more contemporary feel to a space. 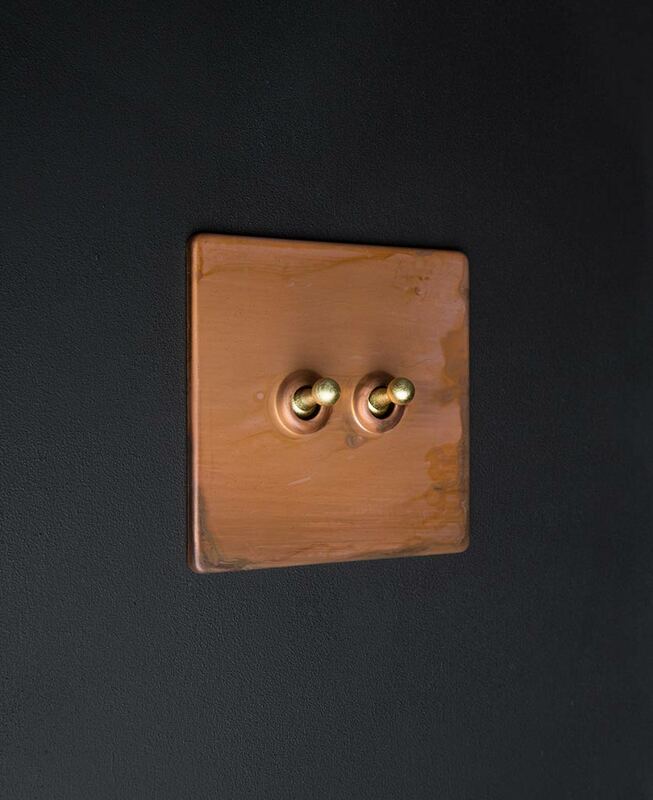 However if the retro look is more your style then pair it with teal, black and a walnut wood. If you want to dip your toe into the mustard waters then try adding it on a smaller scale for example with cushions, an armchair or artwork and that way you'll have small pops of it rather than your room looking like the inside of a mustard pot! 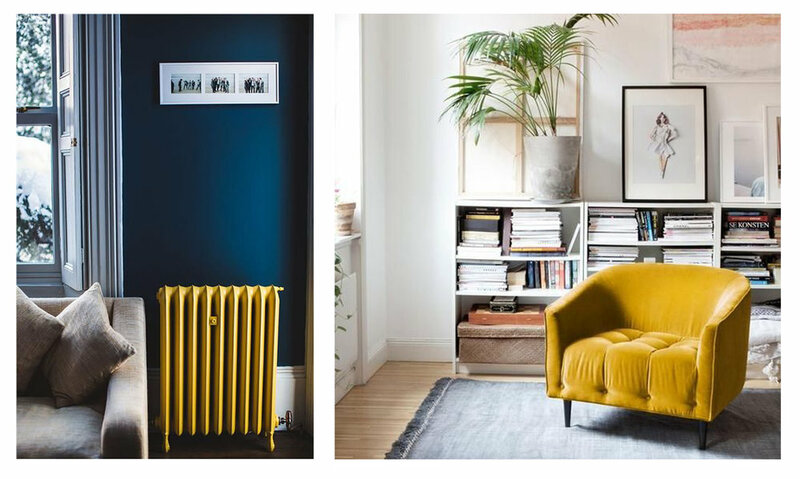 I have gathered together a few of my most favourite interior shots and I hope I have successfully created another mustard lover....! Well what a glorious bank holiday that was, it reminded me summer is still here and I am clinging on for dear life! 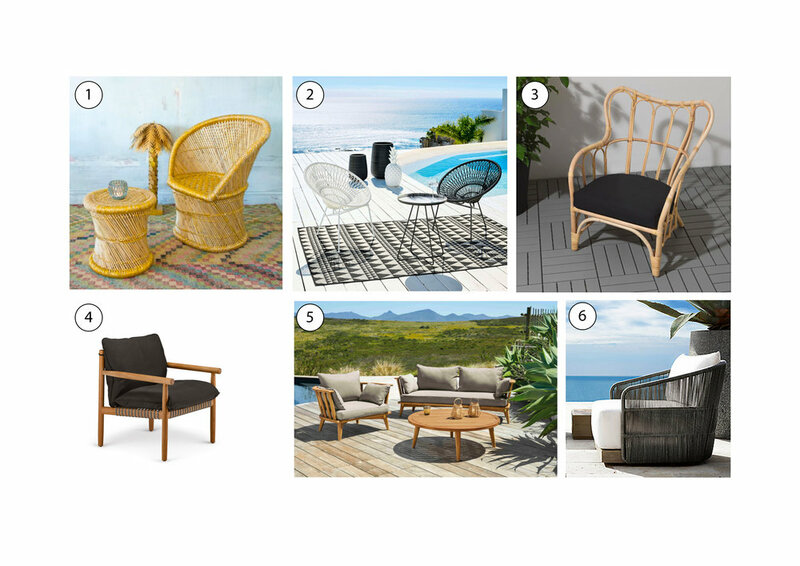 So what better way to enjoy the last few weeks of summer than to purchase some outdoor armchairs to bask in the sunshine or if you live in England like me then the rain! Either way these armchairs will be sure to make your neighbours green with envy!